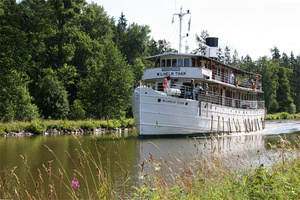 Gota Canal Cruise offers a unique experience of exploring Sweden onboard historic ships at a slow pace reminding a journey into a different world. Turn off your mobile devices, leave the worries of everyday life behind, and treat yourself to a few days of total relaxation accompanied by great food, pleasant encounters and interesting conversations. 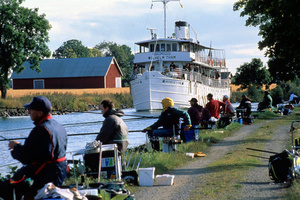 The Göta Canal is one of the most interesting waterways connecting Sweden's two largest cities Stockhom and Gothenburg Here you will find all the information you need about Gota canal cruises, life on board, and sightseeing excursions during the journey. The Mini Cruise is a great way to try out the Gota Canal. Two full days and one night onboard will give you a taste of the eastern part of the canal and its surroundings, the Lake Vattern, good food and great company. Cruise eastbound through the central part of the canal from Mariestad on Lake Vanern through a very narrow part of the canal to Lake Vattern, passing through numerous locks and lakes before reaching Norsholm. 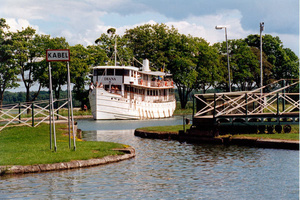 Cruise westbound through the central part of the canal from Norsholm on Lake Vattern through numerous lakes and locks and a very narrow part of the canal to Mariestad on Lake Vanern. Cruise through the Swedish countryside from Gothenburg to Stockholm. The ship is docked at night, giving you ample time to explore the towns on your own, while participating in guided sightseeing along the way. 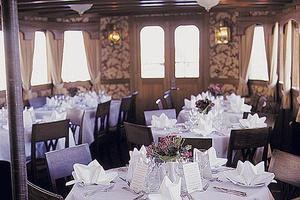 Cruise from Stockholm to Gothenburg while you enjoy the Swedish countryside. The M/S Diana is docked every night, giving you time to explore on your own, while participating in guided excursions along the way. Discover the Gota Canal from Stockholm to Gothenburg on this slightly faster paced four-day cruise. Watch the Swedish countryside as you sail through the lakes and locks stopiing at charming towns. Guided sightseeing and excursions along the way. Discover the Gota Canal from Gothenburg to Stockholm on this slightly faster paced four-day cruise. 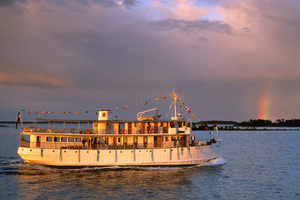 Explore the Swedish countryside as you cruise through the lakes, narrow locks and stop at charming towns. 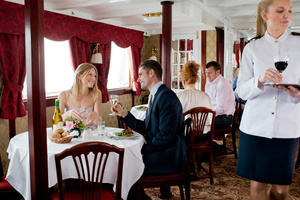 Enjoy guided sightseeing and excursions along the way.